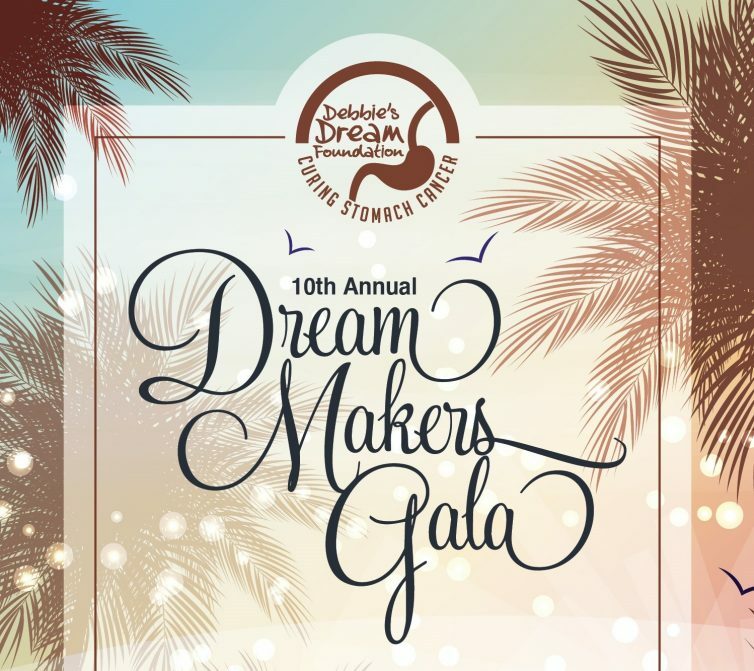 Debbie’s Dream Foundation: Curing Stomach Cancer is excited to celebrate our 10th Annual Dream Makers Gala for the first time with live music performed by Sekond Nature! Come dance the night away as we celebrate “A Decade of DDF.” The event will feature an amazing silent auction followed by dinner, awards, live auction, lots of dancing, and yummy dessert. Purchase your tickets to attend our biggest event of the year! To join the committee, become a sponsor, purchase an ad or for other information, contact us at (954) 475-1200 or at Events@DebbiesDream.org. Click here to review the Sponsorship Packet! By attending an event, I grant Debbie’s Dream Foundation: Curing Stomach Cancer (DDF) the right to take photographs and videos of me and my family in connection with all DDF’s activities including volunteering, attending, and organizing events. DDF may use such photographs and videos of me with or without my name and for any lawful purpose, including for example such purposes as publicity, illustration, advertising, Facebook, and Web content. I authorize DDF, its assigns, subsidiaries, and transferees to copyright, use, and publish the same in print and/or electronically. I relinquish and give to DDF all right, title, and interest I may have in the photographs and videos; waive any and all right to approve the use of such photographs and videos; waive any right to compensation for the publication or other use of said photographs and videos; and release DDF and its agents, licensees, representatives and assigns, from any and all claims of any nature whatsoever arising from their use.